ISSEY MIYAKE / MILAN | ISSEY MIYAKE INC. 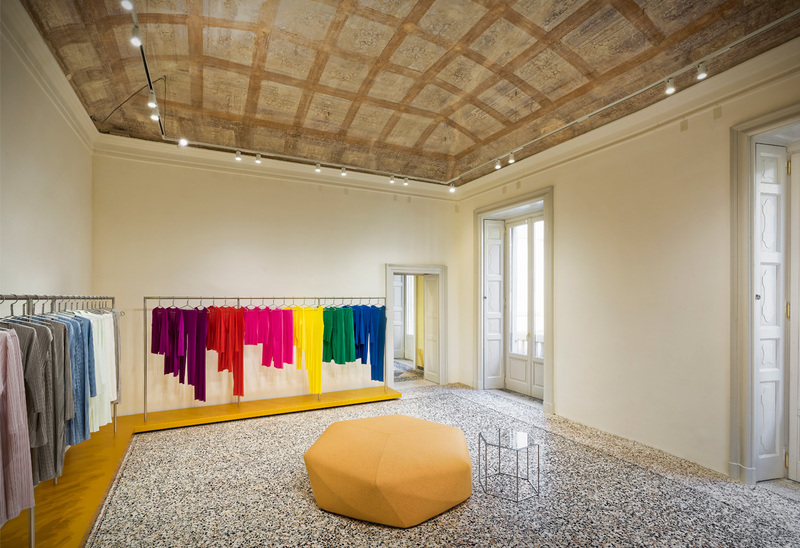 The first ISSEY MIYAKE flagship store in Italy. 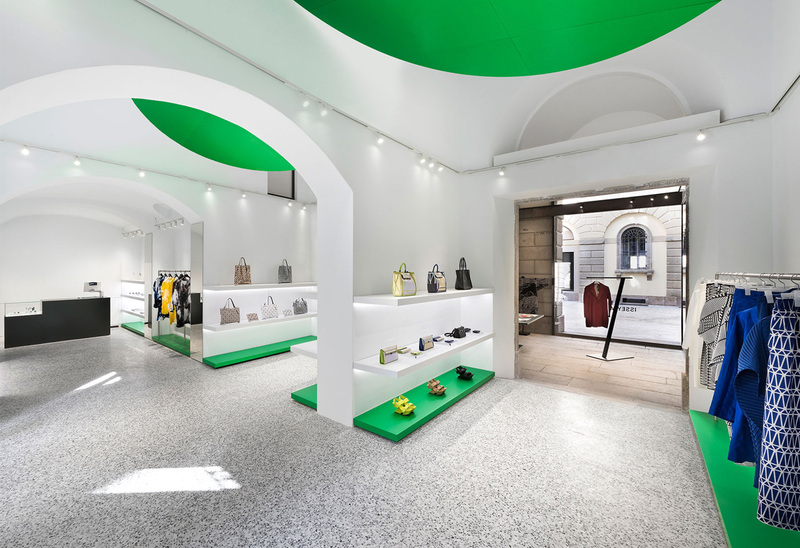 Carrying multiple brands, the store is located on Via Bagutta next to Via Montenapoleone in Milan. Inside a historic mansion built in the 19th century are floating aluminum disks and sales floors in green, orange and blue, bringing history and the future together. 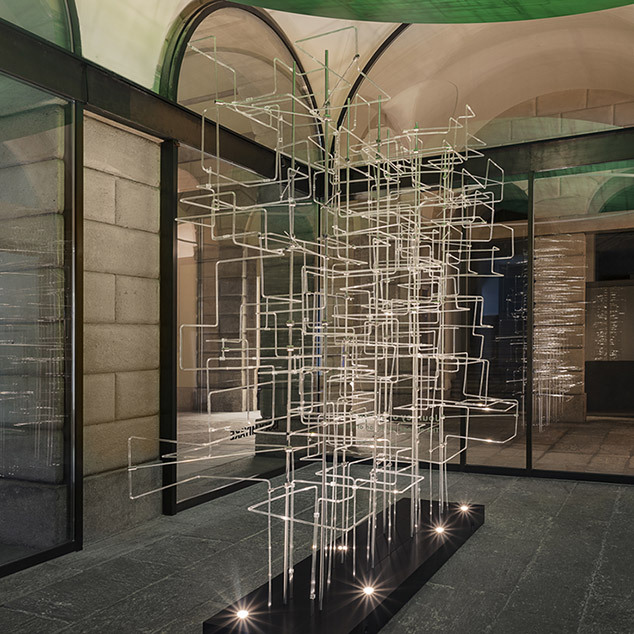 Space design by Tokujin Yoshioka.